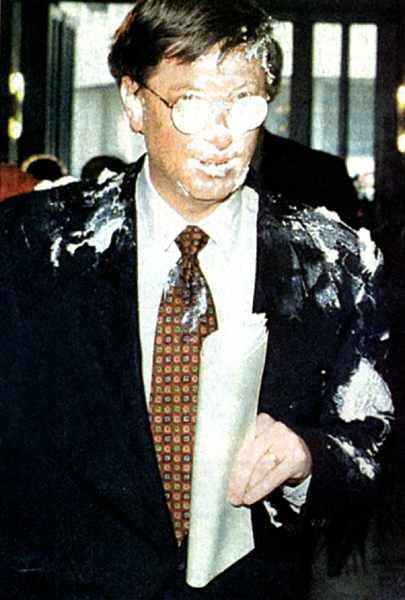 Bill Gates was hit by a cake at a meeting with business people in Brussels in February 1998. The attacker could run away. The reason for the attack was "unknown" according to the newspapers. Is there a list of Pentium jokes? I need one! No, no! You meant to say you need .999856738903!